Support the new generation of indie horror filmmakers; help fund the 6th installment of the Annual Anthology Series “Horrors of the PNW”. As we gear up to celebrate Women in Horror Month, a month-long celebration of the many extraordinary women working in all aspects of the genre, I have the distinct pleasure of making you aware of an incredible female-driven project that deserves your attention. 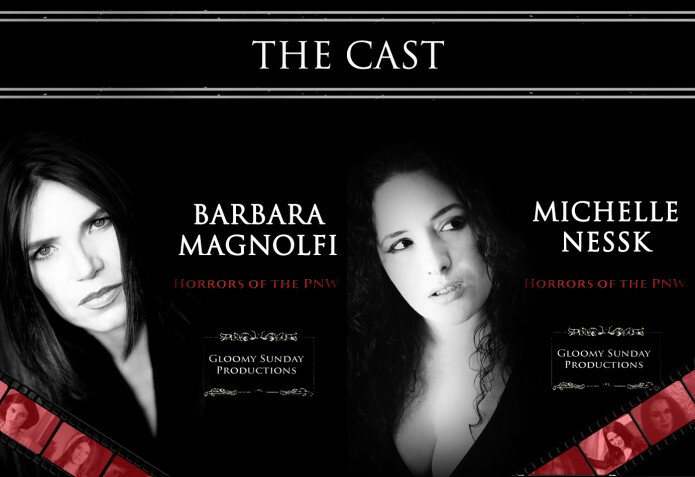 As a female owner of a horror website, I am humbled to be in such inspiring company as the lovely and talented Michelle Nessk, owner of The Blood Shed, one of my favorite horror sites that’s not Morbidly Beautiful! 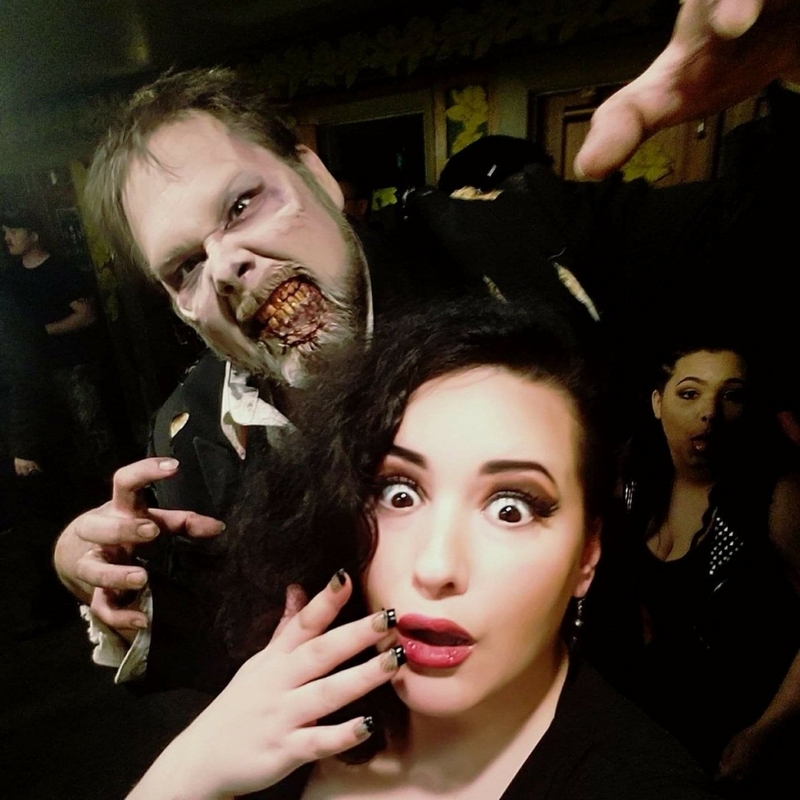 Not only does Michelle run the very successful indie horror publication, but she’s also the owner of Gloomy Sunday Productions, creator of the silent film horror host Zee Monsta, and the creator of Horrors of the PNW. The anthology horror series is dedicated to helping bring up-and-coming, unknown, and aspiring indie filmmakers into an atmosphere of support that adhere’s to the Kaufman chant of, “Just make the damn movie.” These filmmakers are taught the tools of the trade, given the opportunity to network and connect deeper in the indie film world, and allowed to realize their dream of producing a finished feature. The wildly successful series has premiered annually at Crypticon Seattle for the last six years. After the premiere, the entire series and segments enjoy a regular tour internationally in various theaters. This year’s Horrors of the PNW will star the Giallo beauty Barbara Magnolfi (Dario Argento’s Suspiria). Because the series has grown to what it now is, Michelle and her team want to take it further. Push those limits. More blood, more gore, more fancy cinematography — and to bring you more of the Icons that we horror aficionados all know and love. As a result, they have set up a crowdfunding campaign on Indiegogo. The campaign is seeking $5,000 to cover expenses for locations, permits, talent, crew, equipment, craft services, travel, and lodging. Contributors can pick up some incredible personalized perks, producer perks, memorabilia perks, sneak peek perks, and more. One of the coolest perks available is the “Get Murdered by Zee Monsta On Screen!” Who doesn’t want to die in a horror movie? If the goal is unmet, the funds will be going to talent, crew, & craft services. Regardless of how much is raised, Michelle promises to work with the funds available to accomplish the project. Of course, the more funding they get, the better this full feature anthology will be. 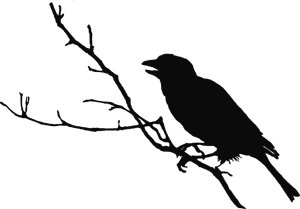 That means your support is greatly needed. Your contribution to this project will be helping make many dreams come true. How often do you get to do something so incredible? Click the button below to help support this very worthwhile project.